IRELAND UNLIMITED's latest performance at the 29th IABS convention. Following just 4 rehearsals with our new director achieving a score of 72.7 - we rocked it! 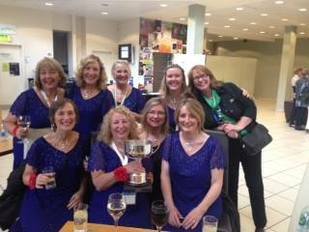 IRELAND UNLIMITED, Winners of AN CÓR, a four part series broadcast on RTE 1 national TV. The competition's aim was to immerse 6 choirs in the culture, language and history of traditional Irish songs. Click links below to hear our performance at semi-final and final. Song 1 - Ireland Unlimited performing a traditional Irish air "Oró se do Bheath Abhaile"